A BEAUTIFUL, HEALTHY SMILE is core to a healthy mind and body. It is our smile that we offer to others: personally and professionally. A smile communicated in every language on earth and invites people to trust…to care…to work for and with us. Our smile says something about who we are and the live we’ve lived. Dr. Macias and our entire team are dedicated to providing you with personalized, comprehensive care with a "human touch". aesthetic dental recommendations and more. Call us if you have any questions or to schedule an appointment. A native of San Antonio, Texas, Dr. Macias attended Catholic elementary school and graduated from Thomas Jefferson High School in 1975 and received his undergraduate degree in Biology from St. Mary’s University. He continued his dental education at the University of Texas Health Science Center Dental School at San Antonio and graduated in 1983. 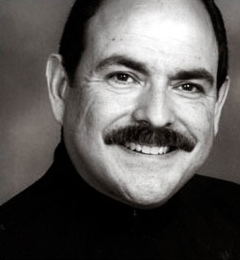 While establishing his private practice, Dr. Macias was an assistant professor in the Department of General Practice at the UT Dental School from 1983 until 1989.